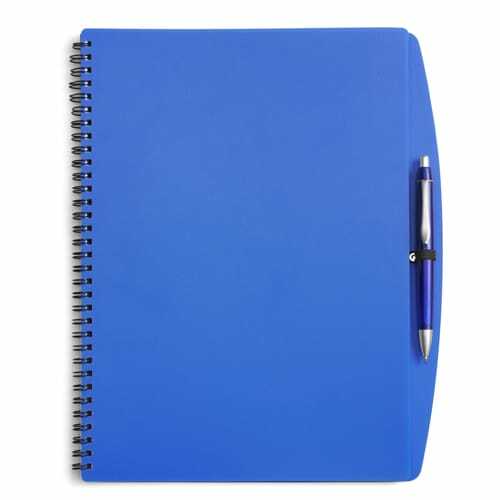 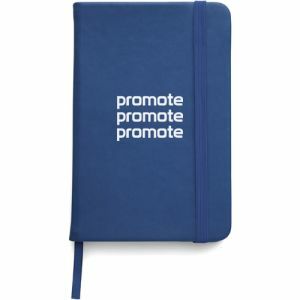 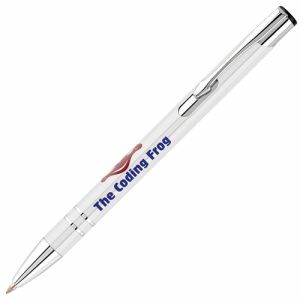 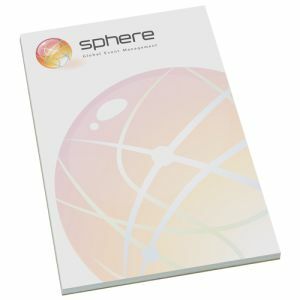 Promotional A4 Plastic Cover Notebooks, a spiral bound 65 page white lined 70gsm notepad that comes supplied with a plastic ball pen with blue ink. 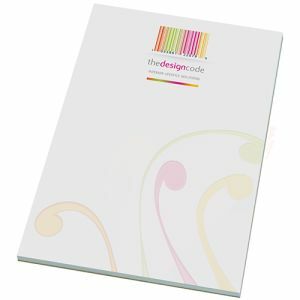 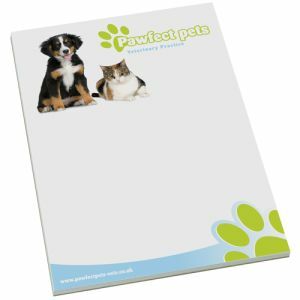 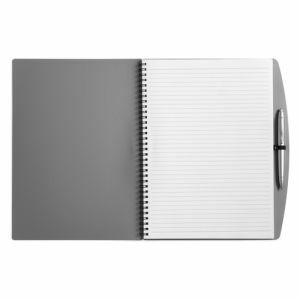 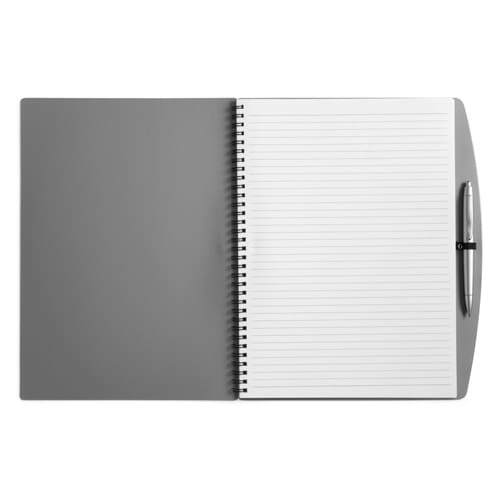 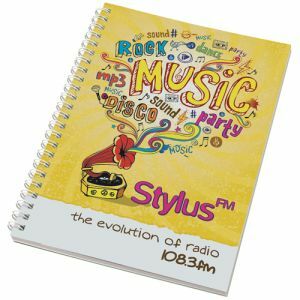 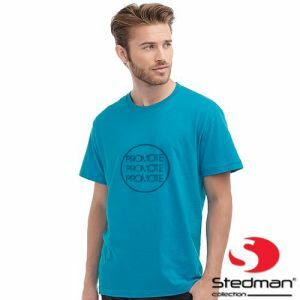 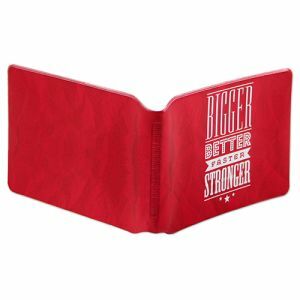 Personalise with up to two spot colour print onto the front of notebook with your company's logo. 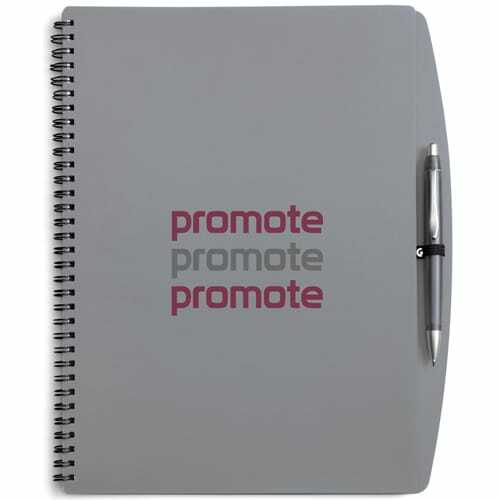 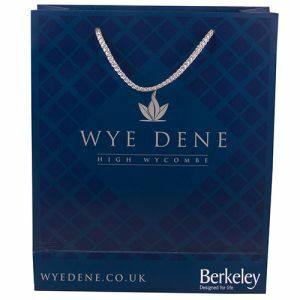 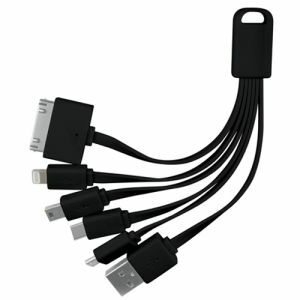 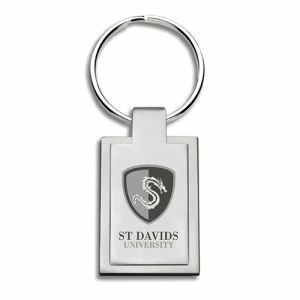 An ideal practical product that is great for fast access, suitable for every desk whilst keeping your branding on show. 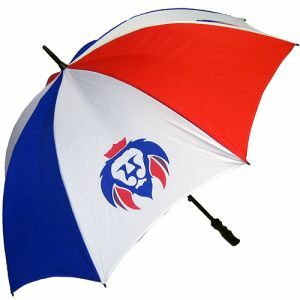 Available in A6 and A5 sizes, please enquire for costs on these items.